When you invest in a pair of shoes made by Jon Gray, you are getting soles that, if properly cared for, will last a lifetime. That makes the fact that you may have to wait six months to actually slip them onto your feet seem all right. 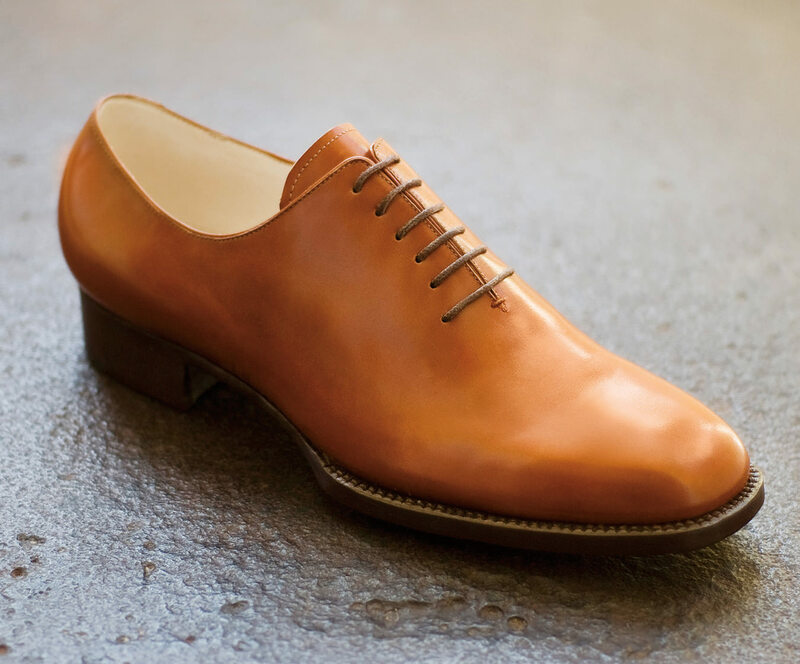 Every Jon Gray shoe is made-to-measure; his are elegantly simple brogues made to reflect the personal style of the wearer, and thus require personalized lasts for each client, which Gray then keeps for when the client inevitably comes back for a second pair. After the style and the type of leather are chosen (French calf leather is most commonly used, but he has also made shoes from buffalo and kangaroo), Gray takes a complex series of foot measurements. 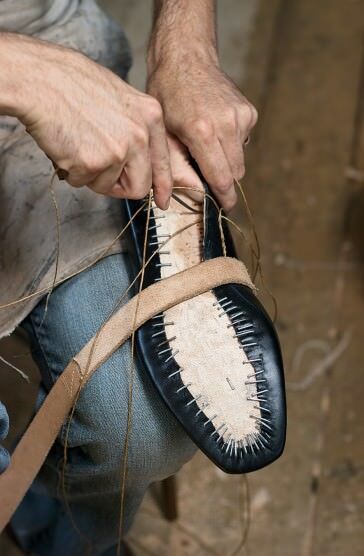 Each shoe starts as a piece of leather that Gray cuts and stitches, from the sole to the lining. As his work is so customized, Jon Gray’s business is purely a one-man show. Gray has never worked anywhere other than in shops that custom-make shoes. He was born in 1974, and he started his career by sweeping floors for an orthopedic shoemaker in Dundas, Ontario, while he was still in high school. He apprenticed there before going to work with a theatrical shoemaker in Granville Ferry, a small town in rural Nova Scotia. Gray spent nearly a decade making shoes for on and off Broadway shows, including Wicked, while studying the art of hand-sewn shoes in his spare time. Jon Gray shoes “are going to evoke a feeling,” he says. And, by utilizing traditional tools and techniques, Jon Gray Handmade Shoes may be a timely construction, yet they are timelessly classic. Photos by Jillian Wilcox MacAulay.